Carpentry, Exterior & Framing Insurance - LIABILITY INSURANCE. You can usually make an offer on a project without liability insurance. Chances are that when it comes to the time the work is going to be performed that you will need to produce proof of insurance to unpack your tools and get to work. If it is not the homeowner or the business owner, it may be the building owner or the local government that steps in with requirements. The insurance costs vary based upon the amount of liability you need and the type of work you and or your subcontractors perform. It is not unusual that building owners in New York require at least a Million in liability and often umbrella policies up to $3 Million to get you foot in the door. 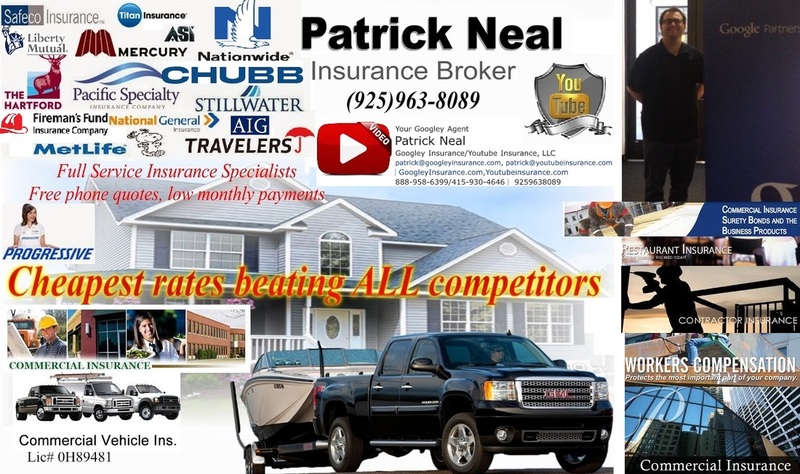 When Googley Insurance "Google Insurance" quotes a policy we will offer you several payment plans that should accommodate your budget. We will offer you options to keep your initial payments low, especially if you are a new company with limited capital resources. Typically, companies offer payment plans that allow you to pay off the policy over the course of the year in 9 or 10 payments after a deposit. Insurance companies are financial institutions, like banks. Accordingly they are rated by institutions like Standard & Poor and a firm called AM Best. These firms rate Insurance companies the same way they rate banks & bonds:: A++, A+, A, A-, B+, etc. make sure that you find out what each company's rating is while you are gathering quotes. It is hard to compare a rate with an A rated multibillion dollar company with an insolvent insurance company with a C- Rating on the brink of bankruptcy. Commercial General Liability Insurance (CGL) is the focus of a slew of law suits. Accordingly, there are many things you need to know about securing a Commercial General Liability Insurance Policy. Although this coverage helps to protect you and your company's assets by providing a layer of defense against several types of suits including negligence, there is a lot to know. That is what your Googley Insurance "Google Insurance" is here for. By covering the cost of defending or settling these claims and the award that may be handed down to the claimant, a General Liability Insurance policy can help you keep your business in business. General Liability Insurance usually covers Five basic categories of business liability:Bodily InjuryPhysical harm to a person at your place of business, or an injury caused by your employee at a client's site. Completed Operations/Products LiabilityLosses after your business has completed work for a customer (such as repairing appliances or installing plumbing), or from manufacturing and distributing products. Personal InjuryDamage to the reputation or rights of a person or business due to slander, libel, copyright infringement, invasion or privacy, false arrest, wrongful eviction, etc. Advertising InjuryLosses caused by your advertising (spoken or written); for example, an ad that trashes a competitor. Medical PaymentsPays the medical expenses of a person injured on your premises (a customer, client, visitor, or even a trespasser) up to a stated amount, regardless of fault — as a goodwill gesture to prevent lawsuits. Independent Contractors Liability Damage from the acts of an independent contractor hired by your business. For contractors the above are usually sufficient. For GENERAL CONTRACTORS, the one coverage typically NOT INCLUDED, but perhaps the MOST IMPORTANT is the following. Injuries to Sub Contractors Liability Coverage If you are a General Contractor and Don't Have it or never heard of it you need to call us immediately. Damages Covered Your General Liability Insurance will pay three types of damages:Compensatory Damages Financial losses of the claimant, plus additional monetary losses resulting from the claim. General Damages For intangible losses ("pain and suffering.” “mental anguish,” etc.) Advertising injury; Punitive Damages Penalties against your business for committing a wrongful act. Damage to property of others in the care, custody and control of your business — for example, an electronic repair shop storing customers' televisions Baillee's Customer Floater. As many people have already found out, Googley Insurance "Google Insurance" is the best stop for a quote on Contractors Insurance. We are the low cost solution for your Contractors Insurance Policy. Googley Insurance "Google Insurance" currently offers Contractors Insurance Policy Coverage.